Nowadays creating a digital magazine can be a simple and enjoyable task! It does not take a technological genius to create a digital edition of your magazine that combines a range of interactive features. An online magazine enables you to distribute print magazine content to your audience in digital form and there are many advantages. Publishing your content online can attract new readers and advertisers in order to increase profits, you can track and monitor usage as well as adjusting your campaigns to generate better results. Why not start today by converting your PDF file into an online magazine. 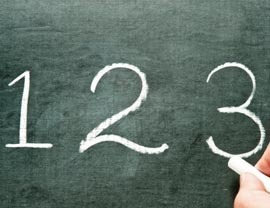 Let’s take a look at three easy steps to creating an online magazine. In order to convert your PDF into an online magazine, you must first download and install the software. This is quite simple, all you must do is follow on-screen instructions from an installation wizard. After launching the application it’s important that you take some time to familiarise yourself with the software. Look at the options available to you and think how they might be useful to your magazine. Remember to make sure that your publication is saved in PDF format. It’s also advisable to revise your content while focusing on what you aim to achieve. Think about your target audience, who are they and what do they want? It’s essential to understand who your readers are and what preferences they have in order to create engaging content for them. We strongly recommend creating a target audience profile. Establish your objectives from the start. Think short, medium and long term and set out a course of action which will lead to achieving these goals. Create an objective profile of your audience with many demographics. Another aspect of your magazine deserving of strong focus is advertising. You should create a list of potential advertisers for your magazine. Don’t be afraid to present your ideas to potential advertisers and take note of any feedback you receive. Have it clear on how you aim to generate revenue. 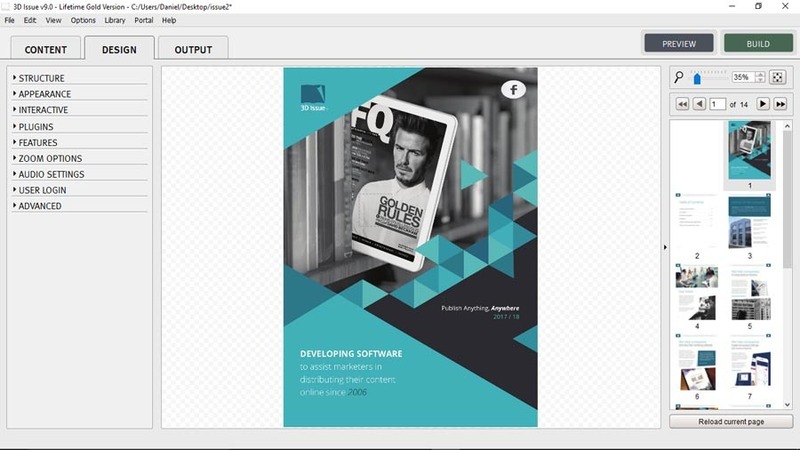 Once you have spent enough time focusing on your audience and what you aim to achieve, you can then import a PDF into the magazine software by simply selecting the PDF file or files for conversion. In today’s publishing world, digital magazine software provides you with a range of options for you to really make your PDF come alive. There is list of interactivities and features available to create an engaging experience for your readers. Through the Design tab 3D Issue users can ensure that their digital editions achieve many objectives key to digital publishing. Through the 3Dissue design tab you can edit the structure of the magazine, choosing from skinless or normal, enabling banner ads, selecting a fitting view mode (flip, slide, presentation) and many more. When it comes to online content, the importance of appearance should never be underestimated. How your magazine looks at first glance can be crucial. You should spend some time editing the appearance of your magazine. Why not add a background, select a preloader or choose a theme? These are just a couple of options available to you in the 3D Issue design tab. To really add life to your digital magazine and create the most engaging experience for your readers, it’s essential to make it interactive. Within the 3D Issue software, you’ll find a number of options on the interactive menu allowing for the addition of clickable buttons or hotspots to the publication such as image galleries, embedded video buttons, shopping cart button and more. Another important feature in the design tab is the social plugins feature which allows you to integrate your social content within your publication. The post added from the social media page/account or feed will open as an iframe within your digital edition. Choose from a list of options including Facebook, Google +, RSS, Twitter, Email button and Youtube. Finally, you may want to edit the zoom options, audio settings and user login for your online magazine. The zoom options in 3D Issue include the following: Zoom to: with options for Single or Double page spreads, Navigation: with options for ‘Click and Drag’ or ‘Mouse move’. The audio settings allow you to add audio to page turns, add background music and create an audio flipbook. Once you’ve finished designing your magazine, having utilized the interactive features available, you are now ready to publish it. Your last step after making all the necessary changes in design is to make your publication available on as many platforms as possible. Therefore, choosing the right digital magazine software that allows you to publish across several platforms is very important. Before you publish your first digital edition of your magazine, it might be a good idea to publicise it a little first. You could do this by using press releases to websites, magazines, or newspapers. Another option may be to use banner ads across websites you feel your audience might visit. After publishing your first edition, you should notify your client base via email. Be sure use and analyse all the tracking features available to you as this data will prove extremely useful for creating future issues. If you’d like to try out these 3 easy steps and create an online magazine, I invite you to download our free trial version of our digital magazine software.